Thank you all for participating in the Scrap Dymonz's first Blog Hop!!! Now for the winner of all the projects that I created over the four day weekend is......drum roll! Please email me your mailing address at icequeen362436@yahoo.com so that I can send you your blog candy! Comment on all four blogs of the Scrap Dymonz (the links are provided below). 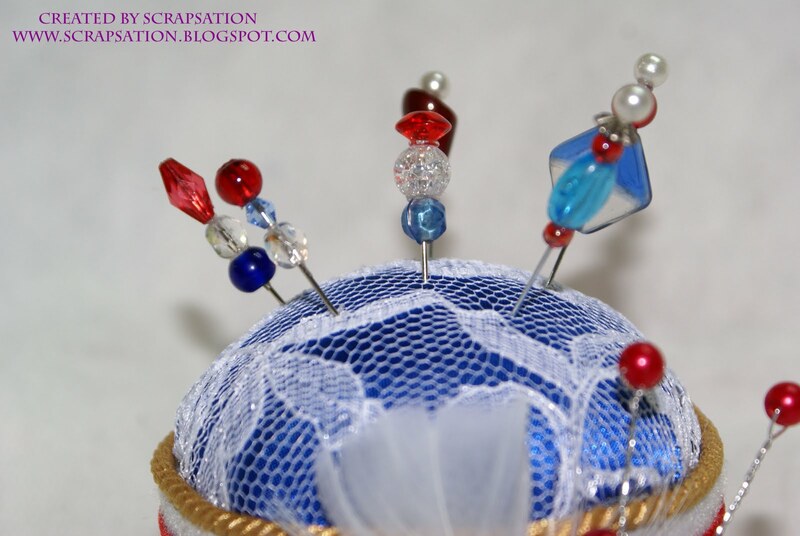 My blog candy for one winner will be the Pincushion and pins, TP mini w/charm, a set of 6 handmade flowers and the layout!!! 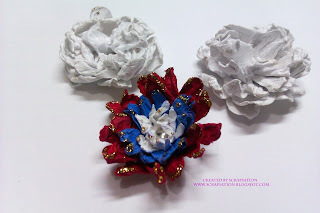 Our fourth and final day of the Scrap Dymonz Fourth of July weekend blog hop! Today's hop starts at Stampin' Dymonz's blog and ends at Lia's. Stampin' Dymonz is offering a special blog candy gift pack today. In order to be eligible to win, you must have commented on all of the blogs all of the days of the hop, as well as be a Follower of the Village Scraps magazine and the blogs of the 4 design team memembers. 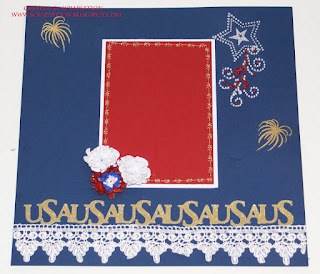 You must also post the secret phrase on Stampin' Dymonz's blog for her July 4th blog hop post. How do you find the secret phrase? Each day of the hop, each design team member had a word or words in their project description that was pink and in italics. Gather those words and figure out the phrase. Comment on Stampin' Dymonz's blog post for today and include the secret phrase. Your name will be entered to win her special blog candy prize pack for today! For the final day of the Scrap Dymonz blog hop I've created a layout that coordinates with all the other projests that I've created for these weekends celebration of the 4th of July!! All of the projects could be yours if you played along each day of the blog hop! Thank you for participating in the Scrap Dymonz's first ever blog hop! We hope you enjoyed the projects and look forward to seeing you at the Village Scraps! Don't forget to enter to win the special blog candy give-a-way on Stampin' Dymonz's blog. Good luck!! Back again for day three of the Scrap Dymonz 4-day Fourth of July Weekend Blog Hop! Today's hop starts at Lia's blog and ends at Terry's. Our fourth and final day of the hop is tomorrow and we have some very special things planned. 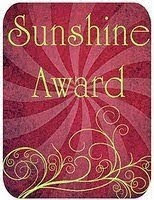 Be sure to work your way from beginning to end for all days of the hop -- you will need information from each blog in order to have the chance to win the final day's blog candy on Stampin' Dymonz's blog. Enjoy! My project for today are hand made flowers using the water and scrunch technique. Layer at least 3 each of the different sizes together and secure with a brad in the center. Wet the petals ( you will have to wet each layer as you go. Bring the first layer up and scrunch around the brad repeat with all layes until you have a little bud. Carefully start opening your flower with a piercer once you have the layers opened dry with your heating tool and decorate as you wish! Remember signup to follow my blog and all the 4th of July projects that I've created could be yours!!! 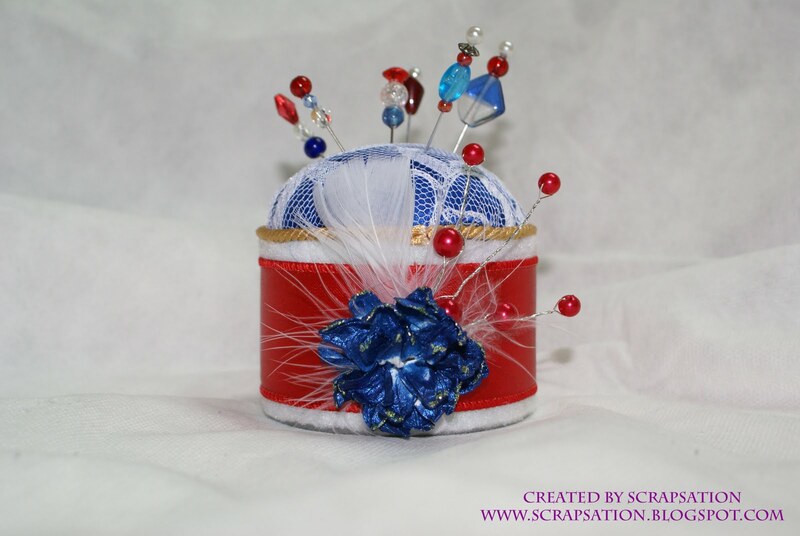 Thank you for participating in Day 3 of the Scrap Dymonz's Fourth of July Weekend Blog Hop! We hope you enjoyed the projects and look forward to seeing you at the Village Scraps! 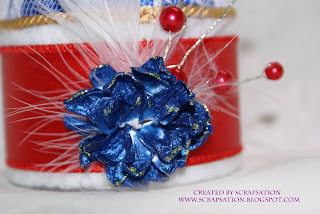 Welcome back to the second day of the Scrap Dymonz blog hop! Today's hop starts at Terry's blog and ends with Ms. Dee. Be sure to hop your way through all 4 blogs to be greatly inspired. The projects are causing fireworks all over blogland! And when you're done, hop on by the Village Scraps and be further inspired... You'll be glad you did! For my second project I've created the ever so famous TP Mini with a matching charm! 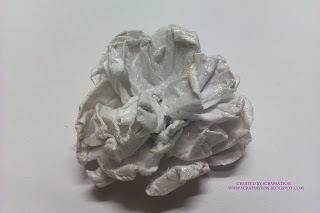 Wrap each TP roll with designer paper and glue in place. Add whatever binding method that you like, for this one I used a simple hinge for the binding. Decorate as you wish. Remember to become a follower and leave a comment and these items that are being created for the 4th could be yours as I will be give them all away to one lucky winner. 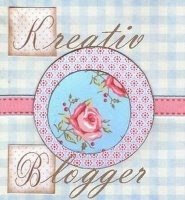 Don't forget to show some love on the other blogs that are participating in this blog hop!! 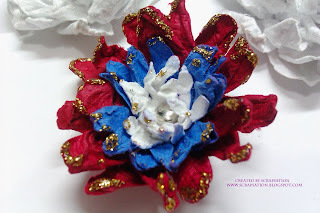 Thank you for participating in Day 2 of the Scrap Dymonz's Fourth of July Weekend Blog Hop! We hope you enjoyed the projects and look forward to seeing you at the Village Scraps! 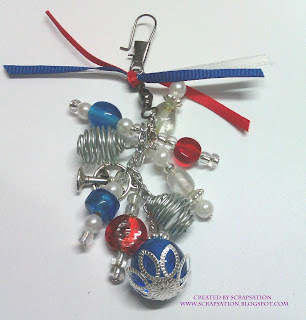 Welcome to the Scrap Dymonz Fourth of July Weekend Blog Hop! We will be holding our hop over the entire 4th of July weekend -- July 1st through 4th -- with new projects posted each day. Be sure to hop by every day to enjoy the beautiful creations. You never know...you may even find blog candy along the way! 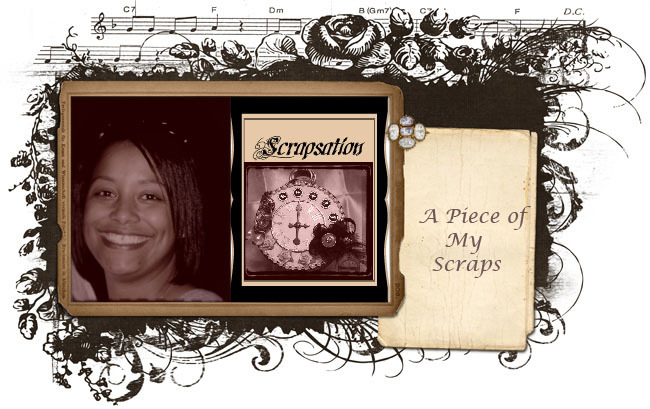 The Scrap Dymonz are the design team for the Village Scraps, the creative inspiration magazine for the Stampin' Dymonz Scrap Shack. The magazine can be found online here, and it will be printed twice a year starting in January 2012. The print version contains many more projects to inspire you then what you will find in the online version. Be sure to become a Follower of the Village Scraps blog so that you won't miss out on any of the postings or information on how to obtain the upcoming print version. Ms. Dee, Terry, Lia, and Stampin' Dymonz have made some fantastic projects with the "Fourth of July" theme. It's not too late to whip up some of these projects for yourself in celebration of the holiday! The hop starts at Ms. Dee's blog and ends at Stampin' Dymonz's blog. There are only 4 stops along the way, but an amazing volume of creativity! Be sure that you start your hopping at the beginning and work your way straight through so that you will not miss out on any of the fun. We hope you enjoy our first blog hop as a design team! Please be certain to leave comments on the projects -- the Scrap Dymonz love to receive constructive feedback. Enjoy! Fit into place and hot glue down, making sure you glue the bottom first. Add lace and embellish as you wish. I've added some stick pins that are also in celebrations of the 4th of July. Hope you all will give this a try!! Become a follower, leave a comment and you will be entered in to win all my projects that I've designed and created for the 4th of July!! We hope you enjoyed our first of four projects! Hop by tomorrow for a fresh set of inspiration geared to celebrate the 4th of July holiday!